Millions of Americans choose dermal fillers, a popular facial rejuvenation treatment, as an economical and effective way to look younger without downtime or surgery. 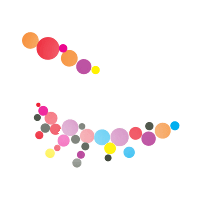 In Minot and Grand Forks, North Dakota, the cordial and meticulous cosmetic specialists of Sublime Aesthetic Professionals offer an impressive range of dermal filler options that go far beyond smoothing wrinkles. If you’re concerned with wrinkles, loss of facial volume, or other problems, dermal fillers can be a viable solution. Call one of the two offices or schedule online. Dermal fillers are a cosmetic treatment to reduce wrinkles, plump and smooth your skin, and more. Fillers are often categorized by the substances they’re derived from. Your Sublime aesthetic specialist injects the gel-like materials found in dermal fillers beneath your skin to enhance your appearance. Fillers contain a variety of ingredients, most commonly hyaluronic acid (HA). Hyaluronic acid is naturally occurring and already found in your skin. HA helps keep your skin plump, smooth, and hydrated. After your Sublime specialist injects you with HA, the results can last up to a year before your body starts to absorb it. The following ingredients may also be found in dermal fillers. During your initial consultation, your Sublime aesthetic specialist can help you determine the right dermal filler for you. Dermal fillers can also be used to improve symmetry and reconstruct contour deformities in your face. Sublime Aesthetic Professionals provides thread lifting as another innovative option to rejuvenate your skin to give you a more youthful glow. Threads are sutures made from a biocompatible material called PDO that’s been specially designed for safe reabsorption into the body. A thread lift is a procedure to place temporary sutures under your skin to pull the skin back and lift and tighten sagging skin. The sutures also prompt your body’s own collagen and elastin production. The threads remain in place for around four to six months before they begin to slowly dissolve. There are different types of threads and sutures available. Results usually last a year or longer. 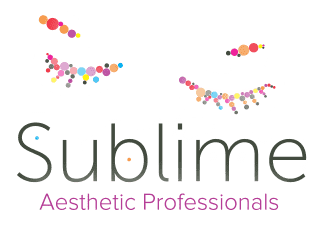 To find out more about dermal fillers and thread lifting at Sublime Aesthetic Professionals, use the online scheduling tool or book online today.